Just on time for Valentine’s Day Disney Junior is releasing Minnie: Helping Hearts on DVD! The Happy Helpers are on their way! When their friends need help, these two BFFs are at the ready! As the Happy Helpers from Mickey and the Roadster Racers, Minnieand Daisy can complete any task at hand, whether they are babysitters, personal assistants, or cruise ship directors leading the Valentine’s Day dance contest! Every day is an exciting new adventure and you can always count on the Happy Helpers to show up with happy hearts and helping hands! 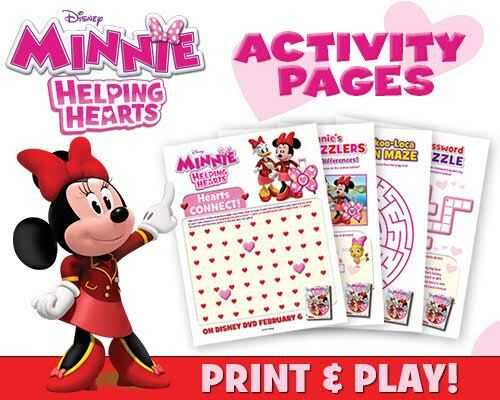 Check out these fun FREE printables to tie into Minnie: Helping Hearts. Click the image below to download them now! 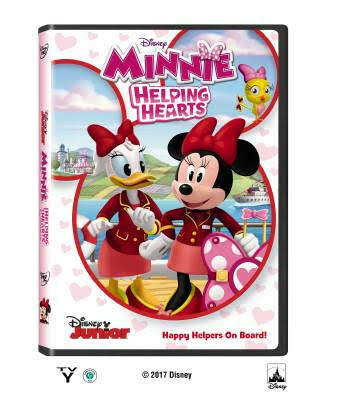 Minnie: Helping Hearts is available on DVD on February 9th on Amazon.ca for only $9.99 and wherever DVDs are sold. Disclosure: I was provided with a copy of the DVD to facilitate this review. All thoughts and opinions are my own.